In July 2010, Frank was diagnosed with colorectal cancer and underwent surgery twice, five weeks of radiation and 6 months of chemotherapy. After treatment, Frank remained in remission for 22 months, however, in October, 2013 the cancer returned and had metastasized, spreading to his pelvic area. Four weeks prior to his cancer returning, Frank was laid off. It was certainly a low point in his life. Frank subsequently decided to retire to focus on spending more time with his family, his treatment and to do something different with the remaining time in his life. Frank Nelson went on to help 43 families $43,000. Frank placed many of his surprises on video to the families all over youtube. Please watch them they will inspire you. 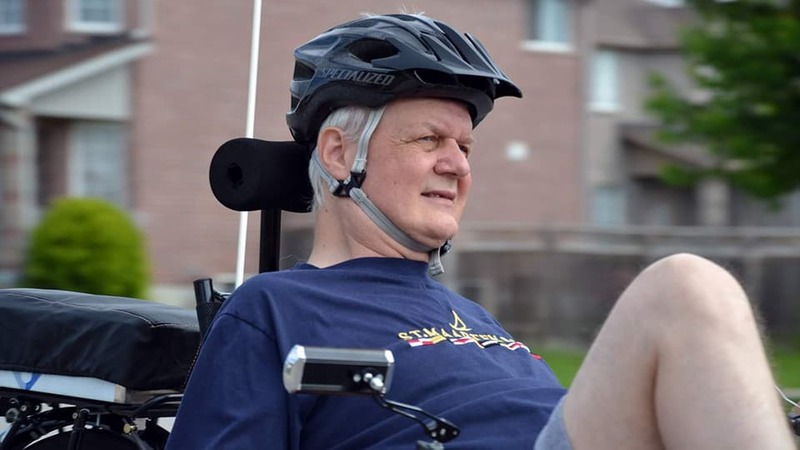 LIKE NO OTHER, what we receive in donations we give away for FREE "he wanted it that way"
Along the way Frank envisioned doing an EBIKE ride across Canada to raise enough funds to sustain the center along with opening more alike across the globe. He never made the trip due to his illness. Frank's health deteriorated and he passed away on Dec. 8th 2017. With heavy hearts across the globe. My name is Sean Sears and I am the Chairman of the Board and acting Director for the Glowing Hearts Community Give and Get. Together we can help save lives, restored faith in humanity and help the homeless people feel their worth. Our centre needs YOUR HELP to sustain our financial costs such as rent, hydro, heat so we can continue on with Frank's Legacy, helping those people that are in need of relief from poverty. On average we have we see up to 800 people a month come through our doors and have given up to 5000 items away each month to those in need. We are a volunteer run organization which hopes with your support to open more of these locations in other communites across Ontario who greatly need our services. 100% OF THESE DONATIONS HELP 100 PERCENT OF THE COMMUNITIES WE SUPPORT!! 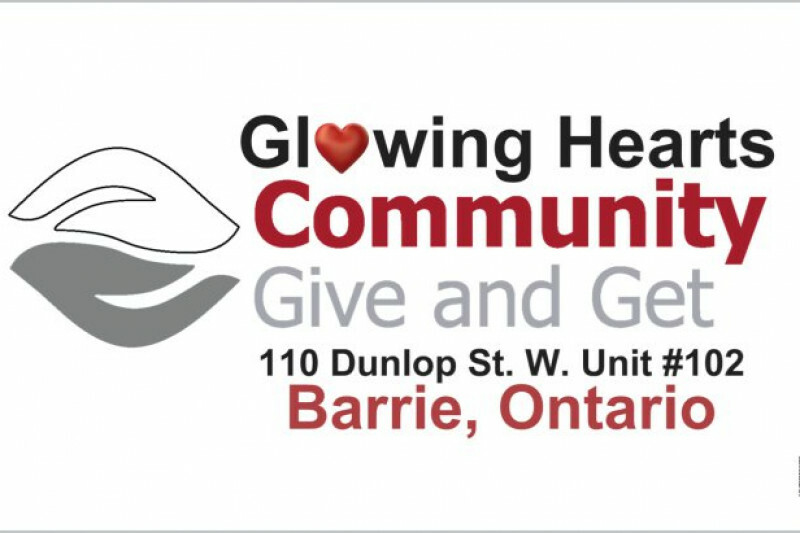 Glowing Hearts Community Give and Get . If you would like to donate items to our centre so we can distribute them to those in need, please contact us at cgag.barrie@gmail.com, by phone 249-888-6695 or by attending our location during our hours of operation Wednesday and Saturday 10am to 4pm. We are located at 110 Dunlop St W. #102, Barrie, ON, L4N4Y4.